What an exciting tournament this has been. I’m so glad I moved all engagements and events away from the game times to watch all of them without issue. Every four years, we are blessed with the best in football to come to one tournament and battle it out for the trophy of dreams. I just loved this whole tournament, through all the good times and bad, the upsets and bad referee calls. Doing a Euro rap-up will be hard, but I am thinking about it. But we are here to talk about the finals! The test of the best has whittled the contestants down to two teams. I will say that I am semi-surprised that Spain got here, as I thought that the weaker team because of the injury issues would cause too many chemistry issues. As for Italy, I didn’t think they would make it out of the group stages, as Croatia looks much tougher than Italy did in the qualifiers. But they have proved themselves and more, having a tough road to the finals and overcoming all the obstacles, as they are also yet to lose a game. On paper, this game would seem to go to Spain hands down. However, the back to back showings of Italy against England and Germany have proven themselves of a final spot and worthy of giving the defending champions a fight for their trophy. Just a quick game breakdown on what to expect and the main keys for these teams to take their trophy! Spain- As one of the favorites for this tournament, it isn’t that big of a surprise that the defending champions are up to make history as the first team to do a three-peat, which will probably secure them as the greatest international team in history. However, I have a major issue with what I saw against Portugal, something that Italy might have noticed to use against Spain. Like I said before, the Spanish defense is great, but lacks in the actual defenders area, means very few amounts of players know how to defend. Unfortunately, this is a team that cannot afford to defend, as their goal chances come from having the ball for long bouts of time. This is what Spain has to do in order to have a shot at taking this before penalties. Spain has to get in the rhythm as fast as they can and get the passing going. I really don’t need to say more about that, as everyone knows that after that, they know not to overextend themselves and make sure the pace is there before the finishes commence. If Spain plays their normal game, they will have more chances to look at the goal than they did in Portugal. 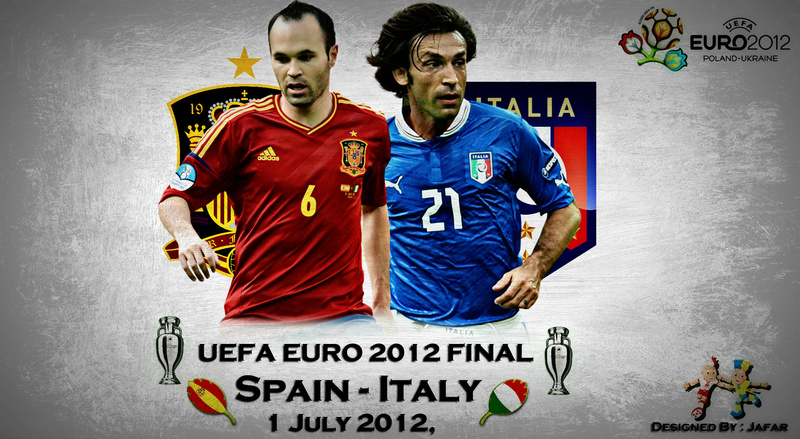 But the counter that Portugal displayed in the semifinals is very obvious and very simple – keep Spain out of the 18. Without David Villa, Spain is left to use Xabi Alonso to take shots from outside. Having only one to two people able to take shots is almost useless and may as well be banned from their style of play this year. Portugal showed that keeping Spain away with numbers and the strong defending of Pepe and Bruno Alves proved to work as a defensive strategy, something I believe Italy will adopt. De Rossi is more than capable of filling that crucial center defense role the relied on Pepe for the Portuguese. The solution to a turtle is patience. You must stretch a turtling team to diminish the numbers in the box and then work accordingly. As good as Italy is defensively, they are not as strong as Portugal in that area and are instead a more attack based team. What I mean by that is Spain needs to not get frustrated and work their magic, as once they realize that they are getting the ball for massive periods of time, they can take their time with their attack. As for individuals and formation, I feel like Spain is at their strongest in a 4-5-1 with a true striker up front. The two times Del Bosque tried to do the six midfielders approach, they both ended with no goals until that ideal was changed. I would say throw Llorente up there, being a phenomenal striker, but he hasn’t played all tournament. Therefore I think the solution is Torres. I might be a bit biased being a Chelsea fan, but Torres scored the winning goal four years ago after not scoring any in the tournament games before that. As much as people downplay him, he is deadly. He knows how to score and seems to get better and have more confidence with every goal he scored. The rest of the team should stay the same, but I say the addition of Fabregas should come earlier than 60 minutes if no progression has occurred. Other than that, Casillas will have to be on point as always and save his team here and there. Italy- Like I said before, I did not expect Italy to make it here. But they have proved themselves with their strong offense and withstanding defense that they deserve to be here instead of the failing Germany. As I said before, I think that the key to winning this match will be similar to Portugal’s key and Italy’s key to Germany in the semifinals- keep them away from the 18. This is not a very easy thing to do against Spain, being that they have all the best passers in the world. But this is key to keeping it scoreless, which is key to winning the game. Trying to come back against Spain is difficult, and the second you commit more to offense you will lose more possession. That’s kinda of a death sentence against a side like Spain. But if they can stay tight and play strong defense, they will have a backbone for the offense to build on. Once the offense is built, the main idea will be the same as against Germany-keep the ball as long as possible. Like Germany, Spain is a very flow-based team. Their momentum dictates how dangerous they will be. They are a snowball rolling down a hill, but if you never let that snowball get big, it is easy to deal with. That will mainly rely on the mastermind Pirlo, who is up against a couple of others for my player of the tournament. 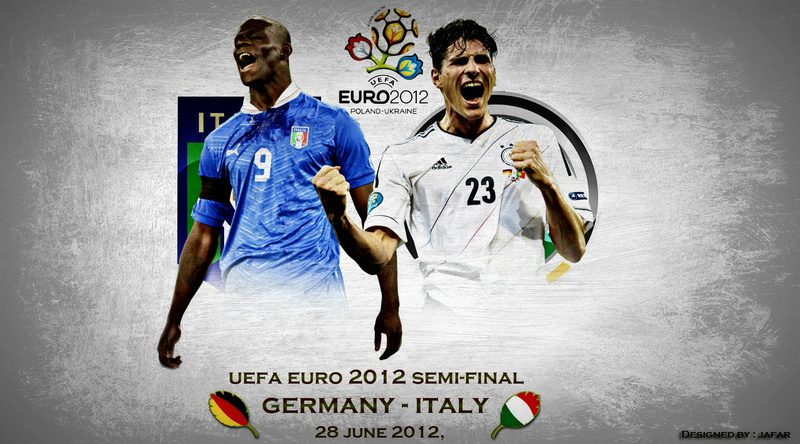 With his expert precision and experience on the field, I’m sure that Italy will know what to do with the ball. Playing the same way the played against England and Germany, I do believe that they can put one in the net during regulation. Of course this means holding the ball, something that Portugal did expertly and it works for them fairly well as a tactic. If you keep the possession of Spain under 62%=ish, you are crippling a major part of their game. They will feel like the need to take with the time that they have and rush their build up unnecessarily, something they did against Spain. Most people will say that defense is the way to go against Spain. As much as I agree with that, I believe that an all-out offense is even better. If you can get the first blow and put them on their backfoot, they hits will just keep coming. Eventually, like Germany, a goal will happen. I absolutely loved the 4-1-3-2 idea that Italy used against Germany, and if executed again I believe it can work well. Something that Italy has that Spain does not is outside 18-shooters. Cassano, Balotelli, and Pirlo can all shoot very well and with precision. This will worry the defense of Spain and make them push out of the 18, farther than their comfort zone. This is where Pirlo needs to strike, getting Balotelli and Cassano behind the line with the ball. This is something that this pro knows how to do and can beat this defense. As amazing as I think Casillas is, I think is weakest point is being out of the goal. When he needs to step up far, he moves very little from his position, making any ball out of his reach possible to pass. Getting behind the 18 should do that just fine. The main players for Italy is Pirlo and Buffon. Pirlo for the reasons stated above, but Buffon will have some mess to deal with. He was a little shaky in the beginning of the Germany game, but with World Cup Final experience, I think this will be something old for him. He will have shots on goal against him, and his amazing keeper skills will have to bleed out in this game. That’s all I have to say. Good luck to both teams, and what a great tournament it has been! Portugal – I can say with some certainty that this will be the more attacking side of the game. Obviously, some magic can happen like the Ukraine vs England game, but I don’t see it, as I can support a Ukrainian force. Czech’s main strength is their defense, which Portugal should beat down like Ukraine, only with goals, of course. With the strongest wings in the tournament or at least tied with the two favorites, Spain and Germany, Portugal needs to bring the force on both sides, mixing the attack up with the more direct Cristiano Ronaldo or the unpredictable Nani, both of which are playing some great football this tournament. But the greatest element of the Portuguese offense that I saw out of the group stages is the amount of people who can put a goal in. With a total of four goal scorers out of five in the net, this means that the attack can come from anywhere. Plus Nani still doesn’t have a goal of his own, but everyone knows what a threat he is on and off the ball. Using the strong attack that they showed in the last two games of the group stages and the defense that we saw in the first and third game, you will see a successful Portugal. Czech-With its strength in its defense, I would rather them play to counter attack on the edgy Portugal. Although Portugal has looked good in this group stages, one thing that has not been consistent is the quality. Like I said before, the first and third game for Portugal were really well defended, and the second and third game were well attacked. Of course this could be said for Czech as well, conceding four goals in their opener but then showing their will and strength in the next two. I say go with your strengths and play to defense, and use the 4-3-3 that Portugal will most likely be playing and counter attack, as they will attempt to defend by attack. 4-3-3 is possibly the defensively weakest of the well known formations, especially when you will not see Nani or Cristiano track back every often, if at all. I say use this to their advantage, and attack the unfortified sides that the put all their attack on. Breaking the defense through the left and right will make sure that you will get a more condensed Portuguese defense, therefore giving you the ability to take some 18+ yard shots. Prediction- Portugal’s win with at least one goal conceded by them on a defensive mind lapse. The co-hosts take their exit in an exciting fashion as they give the supposed favorites a run for their money. On the other side of the of the headline, Wayne Rooney makes his entrance and leaves his mark as his goal was the deciding factor in the match. Ukraine beating down on England in the first half with strong shots and quick ball movement were surprised not to have one end up in the back of the net, partly the fault of Joe Hart. He was not the only player of note in the white shirts as Steven Gerrard played unbelievably well. He was the heart of the attack today, on top of his pinpoint accuracy. Although John Terry had a great game today, including causing the miscall from the 5th referee on Devic’s attempt on goal, but more on that later. Regardless, it was an exciting match and I felt like Ukraine deserves more than to be sent out this early. Of course, winning is just as important as playing well, and with the array of opportunities that the Ukrainians acquired it is hard to sympathize too much with the home team. Great game to watch and a great conclusion to the group stages. In the 62′ minute, Devic from Ukraine made a break in the box and hit it over Joe Hart towards the box, just to be cleared by John Terry at the last second. Replays show that the ball was, in fact, in the goal and Ukraine deserved the goal. In the moments before this play, however, a clear offsides on the Ukraine team was not called and therefore allowed the continuation of the play up until the controversial call. Up until now, the refereeing has been remarkable, omitting the first game, of course. But this call was missed by the 5th referee, a solution that UEFA came up with in order to make a secondary solution to miscalled goals in crucial times. This officially negates this idea and brings back the idea of goal line technology, which Micheal Platini has been actively avoiding. On that note, I’ll make a different write-up about the pros and cons of goal line technology, as well as my personal thoughts on it. Also, I will do a pre-quarterfinals write-up tomorrow on what to expect in the coming games. Well its’ half time! I decided to watch this game over the Germany vs Denmark game for a couple reasons, mainly because of the huge controversy over Holland failing to get a point in this stage of the tournament. Still, some of my thoughts for the teams. Netherlands- The defense looks okay at times, but this is not enough to hold down a Ronaldo that is back on his feet. The Dutch were hoping they weren’t going to have to worry about him, but this is definitely not the case today. Without the defensive help of Mark van Bommel, Holland are going to have to pick the defense up by at least twice the amount to ensure that no looks are found on the goal. Ronaldo has shown that he will stop at nothing to put in another one in, and with the history of the previous games, we know that other players can definitely do the same. Once this happens, Netherlands needs to work on building up to get a good feel on touching the ball and get into the rhythm again, something they haven’t done since the 28′ minute after Ronaldo’s goal. Also, they have decided to go with a very aggresively-based 4-2-3-1, so looking for counter-attacks is essential and might decide the match. Portugal- After a shaky first part of the first half, Portugal looked great coming off the feel at the half. Ronaldo’s goal has given him great confidence, and hopefully he can take that on to the next half to score that second goal he is dying for. I usually refrain from saying such things, but Nani is playing out of his mind. Beautiful touches, experienced-based movement, and destroying defense is a small amount of things that he has done in this half. Using him will be key to gaining another goal. Portugal needs to feed the corners more balls and let Ronaldo and Nani work the magic that they have been using so far. Other than that, making sure that the defense don’t get lazy and the defensive wingers help the offense like they did on Ronaldo’s goal will help the pressure of Portugal, making Holland subside into their half for at least a great amount of time. What an exciting game. If you asked me exactly nine days ago who would move on in Group B, I would of referred to the FIFA ranked 4th place team and predicted them to take the group. But after this crazy three games, Netherlands, for the first time in history, lost multiple games in a row and exited a tournament without any points. Although I’m disappointed to see one of the pre-tournament favorites to go, everything that happened in this game was not out of the ordinary. Holland came out guns roaring and ready to put themselves in a contending position for second place in the group, with a remarkable goal by Rafael van der Vaart in the 11′ minutes. My first impressions were to think that the Dutch could make the comeback of the year, but sadly fell short and a few moments later, Portugal up’ed the tempo and put Ronaldo in the pilot seat, leading the Portuguese offense. After that, the Netherlands offense was not to be seen again, giving up a goal in the 28′ minute to a beautiful combination of Joao Pereira and Cristiano Ronaldo, who silenced all doubters for sure with that beautiful +40 yarder at Stekelenburg. I bring up this shot because I believe that this was a major turning point in the mental minds of Holland. That shot showed that Ronaldo’s goal was not a fluke, that he was truly there to put points up and take his team to the next stage of the tournament. That shot shut up everyone who said Messi’s name in the Denmark game, and further more, let his team know that this was not going to be easy for Holland. The lethality of that man is unparalleled in this tournament, and this is something that they will have to breed on in the upcoming games. Holland were not there for the rest of the match, as I predicted. As history showed in the games before, the goal against Holland usually spelled their demise for the rest of the game. The second goal, which was expertly created by the old Manchester United teammates, killed the Oranjes off, and everyone on the pitch knew that this was the end for Holland. Holland’s tournament showing should not stop at the lack of wins, as maybe the chemistry is something that also needs to be improved on. The counter-argument is that this is basically the team that took runner up back in 2010, but my rebuttal to that would be that this is not the same team, obviously. My words of advice to the Portugal team is to use this momentum against the Czech. They are a strong team who showed that the Russia game was just a misstep, and with the monster Petr Cech behind them, goals will not come easy. Headers near the goal will be tough because of Cech’s height and the tight defense that the Czech play will make it hard for the Portuguese to puncture the line like they did against Holland. With the beaming confidence that Portugal acquired in this game, I suspect to see them in the semi-finals in this tournament. HALF TIME! Time for some notes. To be honest there isn’t going to be much said. England- Great goal from the Liverpool pair. I couldn’t have saw that coming even if I was on the pitch. Regardless, the goal has put them in a favorable spot to win the crucial three points to level themselves with France. Scott Parker needs to keep shooting from far and that Liverpool connection needs to happen more often. On the defensive end, the Ibrahimovic situation needs to be sorted out because if he is shrugging off defenders, he will surely break someone in the wrong area for England. Keeping the defense solid and making sure that Parker and Gerrard have their looks, along with a little something from the young guns like Welbeck and Young will surely secure the win. Sweden- Surprisingly playing better defense then they usually do, Sweden needs to take advantage of this and push at the beginning of the half. Ibrahimovic is still the key to the Swedish offense, and it seems like every touch he has on the ball is dangerous. He is playing too far back in order to create for his team as well as attack with numbers. Finding a way to let him push out even further will be key to tying or winning this game for the yellow shirts. Only one goal down, they are definitely not out of it yet. After a heart-stopping game, the Swedes will take their exit. This game was unbelievable, with attacks back and forth and with every attack being deadlier than the last. In the end, England was out on top, finishing the yellows off with a beautiful redirection of the ball by Danny Welbeck. Assisted by none other than Theo Walcott, he made an amazing impact the second he got on the field, taking Milner’s place and immediately making results. Questions have gone up in the England manager’s direction as whether Walcott should be starting over Milner, but I guess that is for a different time as the next game, England will have their main striker back, Wayne Rooney, to help them in the last game of the group stages and beyond. Sweden- Taking a dagger to the heart, the expertise of the masterful Theo Walcott ended Sweden’s rally, which seemed like it was going to upset this England side. Ibrahimovic had some amazing looks at the net, just none that ended where he wanted them. In the end, there was only a few things that could of been done to have helped rally this team through, but the counter attacks were the main problem. Two attacked with a weakened defense, Walcott knew what to do on both occasions to help his team rise to the top. Although the main problem being the defense, it wasn’t the only problem, as both goals came off set pieces. While this might say more for England than it will for Sweden, we bid the Swedes farewell, as they gave the world such an entertaining game. Being a massive fan of Ibrahimovic, it is sad to see him go, but this tournament is about great teams, not players. England- Some heart from a team that has been criticized day after day, England really showed the amount of superstars that are present on this team. Although both goals came off preventable fouls, England found a way to push through conceding two goals in a row and score two of their own. Theo Walcott was the man of the match, in my opinion, coming on and scoring and assisting within fifteen minutes of his entrance. Carroll today had an amazing goal, but was a part of the goal against his side, creating the free kick that paved the way for one of Sweden’s goals. The other foul, conceded by Milner, makes me question his start. After an under average game today and missing the goal that would of put England on top in the France match, Milner may have become more of a liability than a help. Obviously, not all the blame goes to the fouls, as England’s terrible defense today almost spelled the demise for them. Even against a side like Ukraine, England will need to step up the defense, starting with John Terry, who must learn how to control his defense like he does with Chelsea. With the addition of Rooney to the line-up, England can have a bright future ahead. A clinic of strong finishes, this game turned out to be high scoring game despite both teams have notably strong defensive players. The key to this game was finishing, as many players took their chances to finish. Many people are criticizing Cristiano Ronaldo on not being a finisher, but I will talk about that later. Regardless, this was an attacking game, and both defenses seemed out of wack and out of place. But all the goals were very clean and clinical, something that both teams would like to take to their final group stage game. With this win, Portugal has virtually put fate in their own hands. Denmark- For a team that was prized for their defense in the earlier game against Holland, shutting out the mass array of superstars to no goals, they were outdone countless times. The line was constantly broken and easily manipulated by the attacking Portugal, making it easy to slip ball after ball behind their line. Although this isn’t how they scored, it is a problem that needs addressing. The defense needs to be more disciplined, making sure to keep their shape regardless of the tricky movement and responding to the ball accurately without leaving gaps. Another thing to note on the defensive end is that the midfield did not help on defense as much as they did on offense. Maybe this was a coaching choice, maybe they were tired and could not move around as much. Frankly, this game should of been over much earlier than it was, but the last first half goal by Bendtner kept them in the game for another half. Bendtner will have to be the key in order to pass the Germans in their next game, which will not be an easy feat. Also, they will need that tight defense that I referred to earlier, making sure that Bastian Schweinsteiger does not break the line. Portugal- First off, Pepe played the international game of his life. A goal in the first half, another with constant beautiful defense was such a major part in the win. Another man who played unbelievably well was Pepe’s club teammate, Fabio Coentrao, who played like Mourinho wanted him to when he made the decision to buy him. He attacked very strong when he went up and defended strong and without fouls, something I saw out of him in the World Cup 2010 and loved him since then. Sadly, Real Madrid can’t say the same, but I guess we’re not worrying about that at the moment. Ronaldo will have a lot to think about after this, missing two easy goals that would of been in the back of the net had he be playing in a Real Madrid shirt. Portugal, being in a cup drought for quite a while now, have rested their hoped in ending that on Ronaldo, who his completely aware of his situation. In my opinion, this is his Achilles heel and until people can stop making him the savior of Portuguese football, he will not be of help. In the next game, he will need to be strong but should be reassured that he does not need to be the goal scorer against Holland. The greatest thing for Portugal in this game is that Ronaldo does not need to score to win, and both Portugal and Ronaldo specifically should take that to heart and move to the next game. With the loss that the Danish handed the Dutch, Group B has forced its second round into a do or die situation. Losing what was considered to be their easiest game, the Dutch now have to find an answer against no other than my favorites to win the tournament. 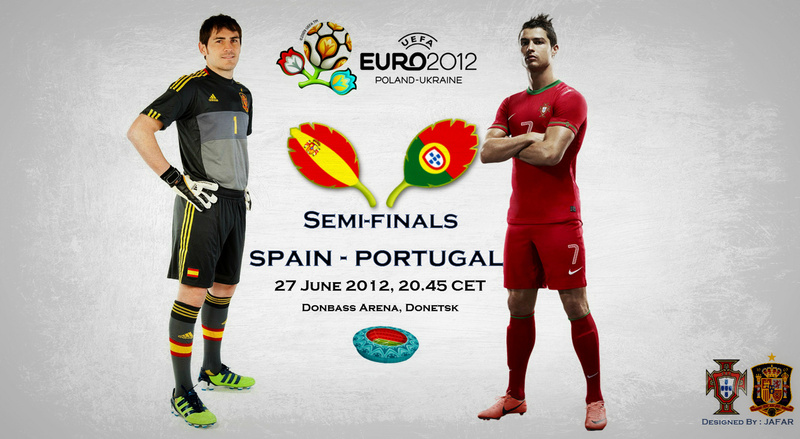 Before that game, however, is the Portugal vs Denmark match, which should be another excited bout. A few notes for each team to effectively give their side the edge that they so need for this second round in the group stages. 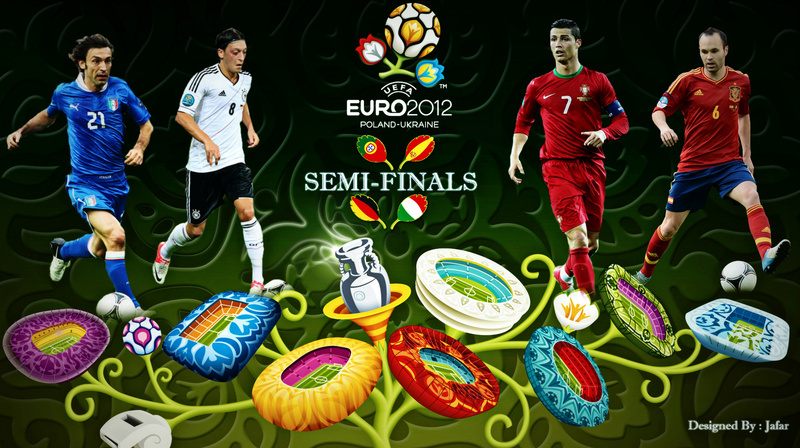 Germany- Although my favorites, they were unconvincing in the win against Portugal. The Dutch have a much stronger offense, with the midfield filled with the mastermind Wesley Sneijder, who always plays at the top of his game. But the list of worries don’t end there for Germany, as you can add another five names to that list. One thing that Germany has that Holland does not is a win, and this will force the Dutch to be more attack focused than defensive. With this note, the Germans have to worry about getting stuck in their half, as their defense will get broken down by the array of superstars. Germany also has their set of superstars, but the absence of their work in the first game should be troubling. Of course if we see some great chemistry early on I don’t think that they will have too much problems on the opposite end, as the average defense of Holland will not hold up. The main players to note for Germany is Phillip Lahm and Bastian Schweinsteiger, who are both going to need to start the build up and keep the tempo up for Germany, in which doing so shall probably win a spot in the next round for their side. Netherlands- After a surprise failure from my other favorites for the title, I question the idea of starting Robin Van Persie over Klaas-Jan Huntulaar, who has shown more promise internationally. Other than that, the Holland line up is fine, and honestly should work its magic in the game. Whether there will be another flop on a team chemistry level is hard to see, but it is something that needs to be found. They do need a win from this game to make the next set of matches all on them, but seeing them through Germany is a tough thought, as both teams are too strong, theoretically. If both teams played to optimum levels I would believe that the Dutch side would come out on top. I say that the best formation for this side is a 4-4-2, making sure that there is enough people behind the ball at all times, and attacking swiftly and in numbers. Germany’s defense is headed by their strongest defender, Phillip Lahm, and catching him making a run can prove to be a goal at any time. Holland’s main plan is to apply constant pressure against the Germans and put them on their back foot in order to make sure that nothing is built from the bottom up. This formation only works against the 4-2-3-1 if everyone on the team moves back and forth to defend and attack. Denmark- With the upset against Holland, Denmark is put into a spot that no one thought would be theirs. With the weak offense that Portugal has, Denmark should not have a problem with the attacks, but should worry about the creators on both sides, Cristiano Ronaldo and Nani. The former teammates are both insanely good players and can create goals by themselves, and given the gift they will take their side to the win. That being said, conceding a goal would spell death for Denmark, as their strong defense is the hallmark of this side. The offense is lacking but in terms of power, and moving in numbers is essential for putting pressure on the surprisingly strong defense of Portugal. I think that Denmark is in the greatest position to seal the deal to the next round, even possibly winning the group against anyone’s previous beliefs before the tournament. Portugal- I like this team for the mainly players that have been through this squad. Sadly, the main men in this squad are all alone in terms of strength, and the old teammates will need to dig deep to create for their side. Portugal’s main problem is their midfield, as it seems nonexistent, but playing the 4-3-3 is a good idea for this match, unlike the previous one. The strength of this defense should hold against the Danish unless they get stuck in a beatdown. This formation is best because it will minimize the seemingly useless defense and add more constant attack against the Danish, which seems like the only way to break this side other than a well timed counter attack with Cristiano or Nani. This is why I can see the 4-2-3-1 as an opinion, but I think that Portugal should see if this is a good idea and NOT start with this formation. For this reason, I think keeping the line up as is is understandable, given the fact that Hugo Almeida may or may not be needed for this strategy. However this needs to be executed by the unconventional 30′ or 45′ minute marks to make sure that there is enough time to settle and work this. I believe Portugal does have the strength to make it out of the group stages and these are key points to hit if they want to. As I said before, I am writing this late as I had things to do this morning. But I just got to half-time and its time for my tips for these teams. Russia- Although Russia has a great attack and Dzagoev might end up being the Euro’s top goal scorer, but Arshavin needs to step up as an attacker if they are going to go past the Round of 8. Russia’s defense is shaky as in terms of skill but solid in terms of discipline. This trait has saved the Russians more than once already, including that awkward save by their keeper. Yuri Zhirkov is playing okay, and maybe it is because he used to play for Chelsea but I expect more from him. Mainly, Russia needs another goal more than better defense to hold them up. Poland- I am semi-surprised at the strength of the Polish attack, even though they do possess the Dortmund Polish Three (as I call ’em). Lewandowski is such an phenom of a striker and Poland needs to find a way to get him even more looks at the net. I don’t want to leave the host side’s fate in one guy’s hands but he is truly a man of power. Hopefully Poland uses their creative side to move ahead, as I would like them too. Other than that, I think that their defense will be their downfall, as the discipline that Russia has isn’t there. First place in Group A is by far the most important place to achieve in the group stages because no one wants to face the winner of Group B. It might be the deciding factor for the Group A winner to make the semi-finals. The tie in this match has made Group A a do or die. All four teams have the ability to move on, and everyone but Greece will move on with a win. Greece will need a win and a better goal differential, which is possible but tougher. As of now though, I will talk about this game. Poland and Russia really duked it out today and the game was a really fun game to watch. I enjoy ties in group stages because it makes the whole group more interesting. The game was well paced and back and forth. Poland came out stronger in the second half with a beautiful build up and goal from the Polish side in the 57′ minute. Russia still looked dangerous, but arguebly not as dangerous as the first half or even the Czech Rep. game. The Polish defense was stronger in this half as they needed to be, and the strength of Poland’s offense came through. I will talk about why this was a tie, and what these teams need to get out of this group stage. Russia- Lost the lead on a well executed counter attack, and, let’s face it, a unstoppable shot. But this is the least of their worries as the strength of Russia is not doing was Russia has the most of, which is strong attackers. I believe that Russia needs to go all offensive against the Greeks. Czech do not really have a strong attack or defense, but I would be worried about counter attacks. I also think having an Arshavin-Pavlyuchenko-Dzagoev line up top will do wonders for them, but I have a soft spot for Roman since 2008. Playing a 4-3-3 against Greece will work if you force them to attack in small numbers and make sure you have the ball +60% of the time. If and only if. Another thing to take note is that Russia will move on with another tie, and are also in the best spot for winning the group, both can be used to their advantage. Although I believe the Polish are the strongest side in this Group, with the addition of home field, Russia seems like they will take group A.
Poland- Who I believe was the stronger side, Poland looks like they have all the ideals of a good team without the execution 100% of the time. That counter attack that gave them the equalizer in the 57’th was spot on and flawless, and if they can find a way to replicate this on a more consistent level, then this team will be much more deadly. Defense is still okay, sadly I think it will be their downfall in this tournament. I do believe that I will see them on the opposite side of the group stages, but it will be something special to go any further. Poland will need to play a strong attacking formation against the Czech, and making sure that the Czech do not get far into their half will make for a sure win. I’m sorry for the late write-up, I had a couple things to do. But I will try to do a pre-game analysis before Group B’s games as I know these teams very well.